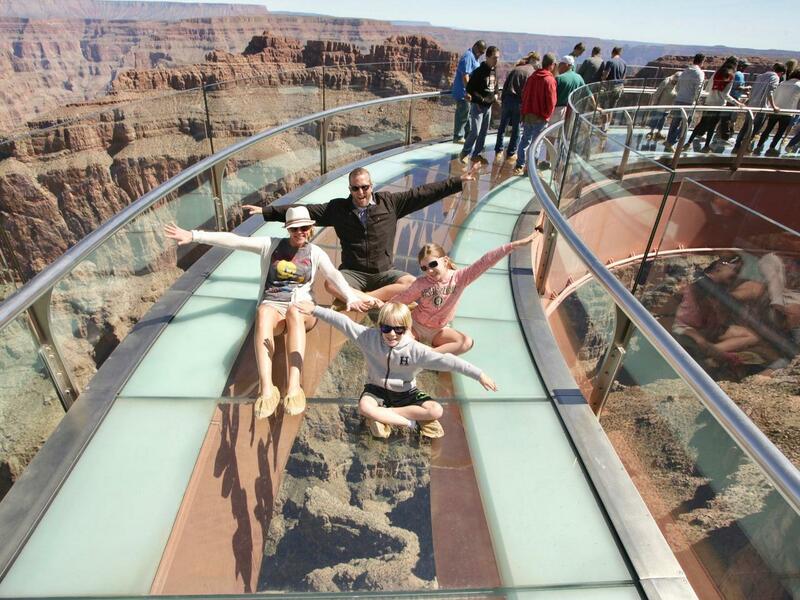 At Grand Canyon by One Day Tours, you will enjoy a luxurious riding experience. 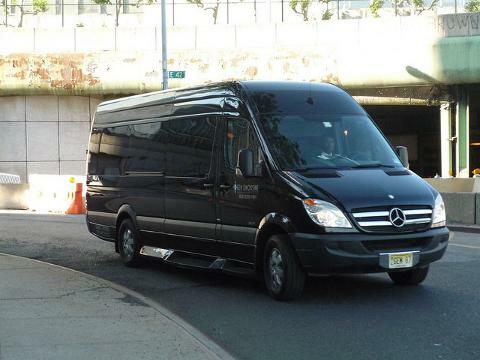 In our state of the art Mercedes vehicle that features leather seats, USB ports, and outlets throughout the vehicle. 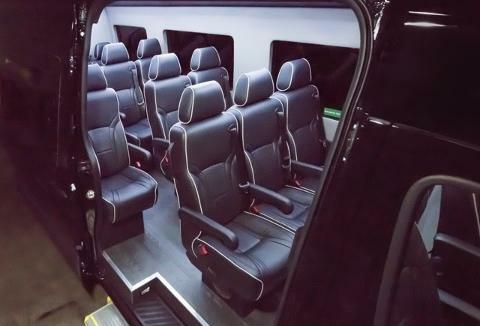 With up to 14 passengers, this is a refreshing change from being crowded into the big style coach buses. Your tour starts at The Hoover Dam, where you will have photo opportunities and views of Lake Mead and the Mike O'Callahan/ Pat Tillman bridge. After a drive through the Mojave Desert, Dolan Springs and The Joshua Tree Forest, you will arrive at the West Rim, home of the Hualapai Indians. 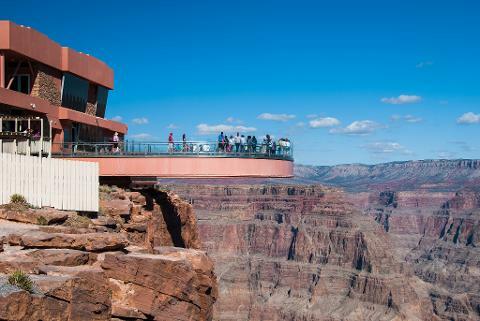 Here, you and your party have 3 hours of your own free time at the West Rim of the Grand Canyon. Your tour includes lunch at The Hualapai Ranch, Eagle Point or Guano Point. At the Hualapai Ranch, you can learn how to rope like a cowboy, horseback ride near the rim or ride a mechanical bull. 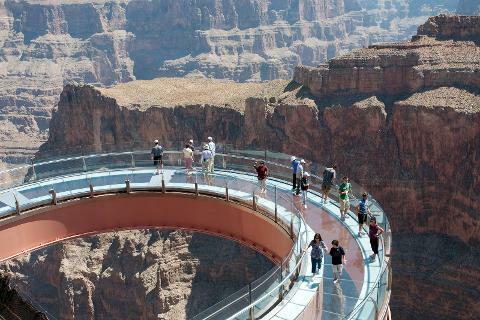 After, you can go to Eagle Point and walk on The Grand Canyon Skywalk (for an extra fee), the glass bridge that is 4,000 feet above the canyon floor. Next to Guano Point, with amazing views of The Grand Canyon and Colorado River. At all three locations, there are many handmade, authentic Native American crafts and jewelry and other souvenirs that can be purchased to remember your visit. Traffic and/or other circumstances can be unpredictable so please do not book a restaurant reservation, show or flight close to expected return time. Please contact us a day or two before your tour so we can give you a more exact pickup time and location at your hotel. Thank you for your cooperation.